From a snowy, sub-zero Copenhagen to a summery Australia. Thanks to Lucy from Sydney Vintage Bikes for some Australia Cycle Chic to warm us on these chilly days. 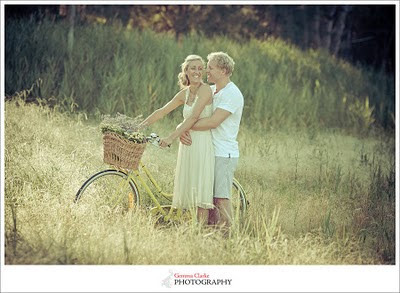 Above and below you can see splendid engagement photography by Gemma Clarke. 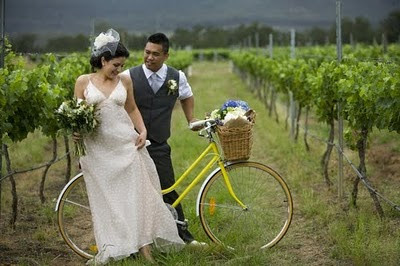 Here are a couple more wedding shots from Down Under. Absolutely brilliant stuff. Fantastic atmosphere. 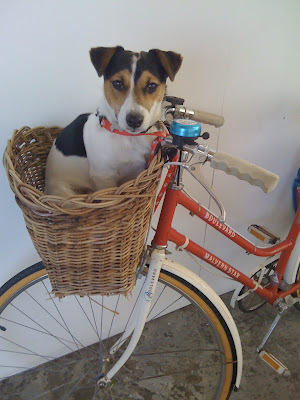 And here's a lovely classic dog-in-basket shot. Yay! Love seeing fellow Australians on here. Gorgeous images Gemma! 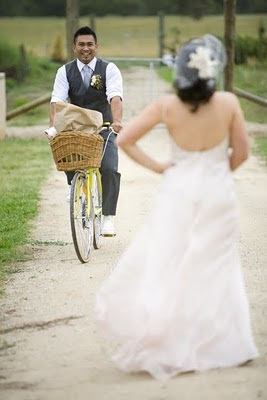 Great photos, but if these pictures ever appeared in the newspaper or even a blog in Australia, there would be 20 or 30 lunkheads writing in complaining about the bloke setting a bad example by not wearing a helmet, prophesying that he will be a bad parent because he doesn't care about safety etc etc. many of my photos have appeared in the australian press. the helmet or lack of is often an issue, but considering the fact that only a small percentage of cyclists in the world wear one, it's only fair to show people without.